Ada Wells made history when she was elected as a councillor of the Christchurch City Council in 1917, the first woman to achieve this. She was out for the cause of peace . . . . She had been termed unpatriotic, and if to believe in the brotherhood of man was to be unpatriotic – well, then, she was unpatriotic. They were at the parting of the ways. Were they going to sell their glorious British freedom for Imperialism? Their forefathers had shed their blood for freedom of conscience and freedom of speech. Imperialism had taken away those gifts. Ada Pike arrived in Canterbury with her family as a ten year old in 1873. She was clearly very able, progressing, aged 15, from being a pupil to being a pupil teacher at Christchurch West School and going on to train at the Normal School while also winning a university junior scholarship. She gained the first part of her BA in 1882 and in 1883 was an assistant teacher at Christchurch Girls' High School. In 1887 she was an assistant teacher at Christchurch East School and from 1888 to 1892 she taught at St Albans School. Perhaps prompted by the death of her father when she was 19, leaving her mother a widow with nine children to support, Ada married the organist at the Anglican Cathedral, Henry (Harry) Wells in January 1884 (aged 21). They had four children, three daughters and a son. When she was dismissed from her teaching job at St Albans School in 1892 because she was pregnant, Wells began her life-long commitment to working for the good of women and children through community based organisations. She became Secretary of the Economics Department of the newly formed Canterbury Women’s Institute (CWI) in 1893 and Secretary of the National Council of Women at its first meeting in 1896. Papers she gave to National Council of Women meetings included 'Local Government Reform', 'The Evil Effects of Drug Administration' and 'Our duty to the Unfit', a detailed exposition of the employment, residential and educational services that she believed should be provided for those who were impoverished, unemployed or mentally or physically disabled. Her mother was a well-known natural healer and Ada Wells also practised natural medicine. From 1895 to 1899 Ada Wells wrote ‘Home’, a regular column on health for White Ribbon, the Women's Christian Temperance Union's magazine. 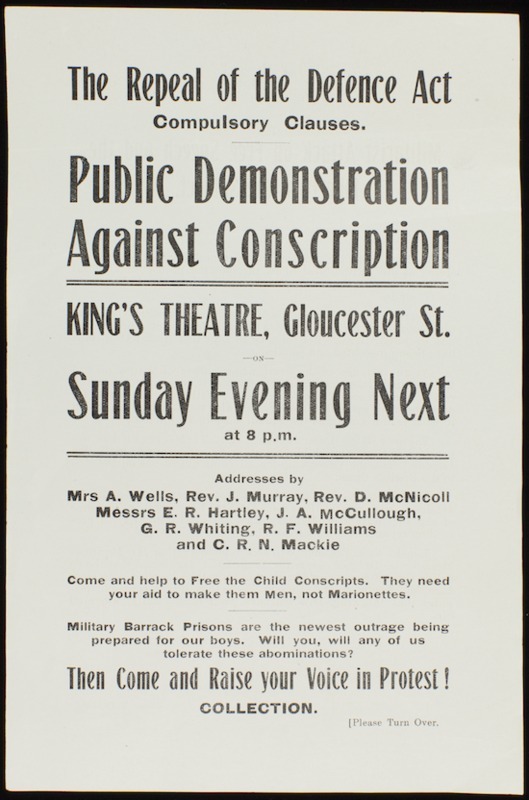 Flyer for a public anti-conscription meeting when Ada Wells and Charles Mackie were included in the line-up of speakers. National Peace Council pamphlet. Ada Wells was the second woman to be elected to the Ashburton and North Canterbury United Charitable Aid Board and she was also active in the Children's Aid Society which she had helped to initiate in 1898. Later she worked closely with her friend Sarah Page as they served as either President or Secretary of the CWI. Wells was recognised as an effective and popular speaker. As anti-militarist and labour movement leader Ted Howard reported, 'Mrs Wells can draw a crowd any time, because she is one of the clearest and most fascinating speakers we have in the Dominion. . . . In addition to her having a splendid knowledge of history and biology, she also has a grip of the history of secret diplomacy'. Ada Wells was uncompromising in her opposition to war. At a CWI organised anti-militarist meeting of women in Ashburton in October 1913, Ada Wells proclaimed: 'War is organised murder'. The Lyttleton Times reported that during the meeting Ada Wells ‘advocated the abandonment of armaments and the cultivation of internationalism [and] declared that the press had suppressed thousands of prosecutions that had taken place under the Defence Act’. The best boys were being driven from New Zealand because they would not serve. New Zealand was losing its best blood and the girls their sweethearts. In 1917 Ada Wells attended the conference of the newly formed Labour Party and spoke on behalf of labour women, as one of a deputation to the senior government minister, William Herries. She argued that it ‘was astounding that they had arrived at a time when men who stood up for freedom and the boasted right of their civilisation were put into prison cells’. Rather than bringing freedom, the ‘real fact was that Imperialism was costing the New Zealand people too much’. Wells saw conscription as the ‘curse of Europe…planted in New Zealand’. ‘Imperial conscription’ was the aim of the ruling classes ‘and the whole country was to be dragooned into Imperialism’. two paths immediately in front of them, one leading to racial suicide and one to goodwill – the path of evolution…. the conscientious objectors … had proved that there was friendship in the world. But the authorities had dealt contemptibly with these men. The soul could not be conquered, and she urged the Minister to tell the national Government that they were people who would fight as long as they lived, and perhaps afterwards. Remarkably Wells and Page were never arrested for their anti-war speeches. Wells commented that ‘[a]lmost all her friends had been in gaol, and she wondered how she had managed to keep out’ despite her being publically 'opposed to militarism root and branch '. The 'No More War Committee' in 1929. 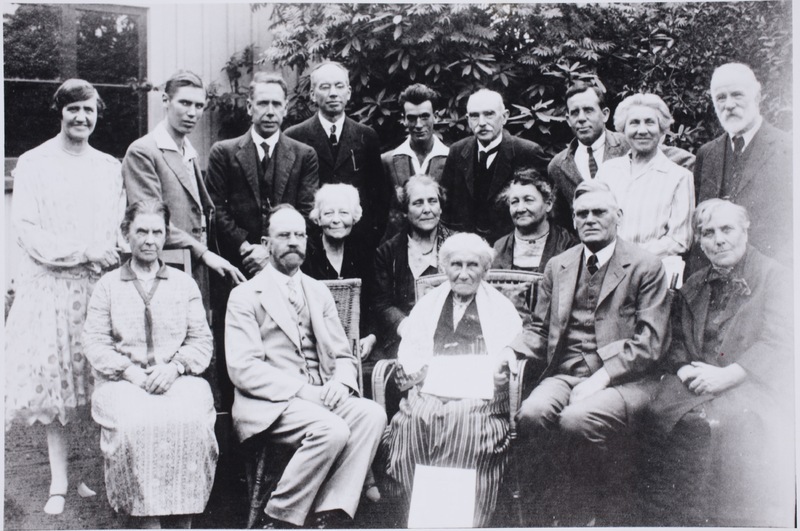 Ada Wells is standing second from right. Her friend and colleague Sarah Page is seated in the centre of the middle row. In the same year Ada Wells’ bid to be re-elected to the Christchurch City Council was unsuccessful. This time she campaigned alongside Sarah Page and the outspoken socialist Unitarian preacher James Chapple. Their platform was one of radical socialism including municipal ownership of housing and land, municipal baths, creches, kitchens, laundries and playgrounds. None of the three were elected. On her death in 1933 the Press newspaper said that New Zealand had lost 'one of the foremost of her public women’. 'Labour Candidates: Addresses at Linwood', Lyttelton Times, 17 April 1917, p.6. Hetty Turner, ‘Ada Wells – the first lady councillor’, News Advertiser, 4 November 1975, p. 12. North Canterbury Education Board Reports, 1878-1881. (Archives New Zealand, Christchurch Regional Office: CH207, Items 74-77, R18293801-R18293804); St Albans School Committee Minute Book, 1883-1894. (Archives New Zealand, Christchurch Regional Office: CH790, R767533). Philippa Fogarty, ‘Wells, Ada’, from the Dictionary of New Zealand Biography. Te Ara – the Encyclopedia of New Zealand, updated 1-Apr-2014. ‘Canterbury Women’s Institute’, Lyttelton Times, 20 January 1893, p.2. 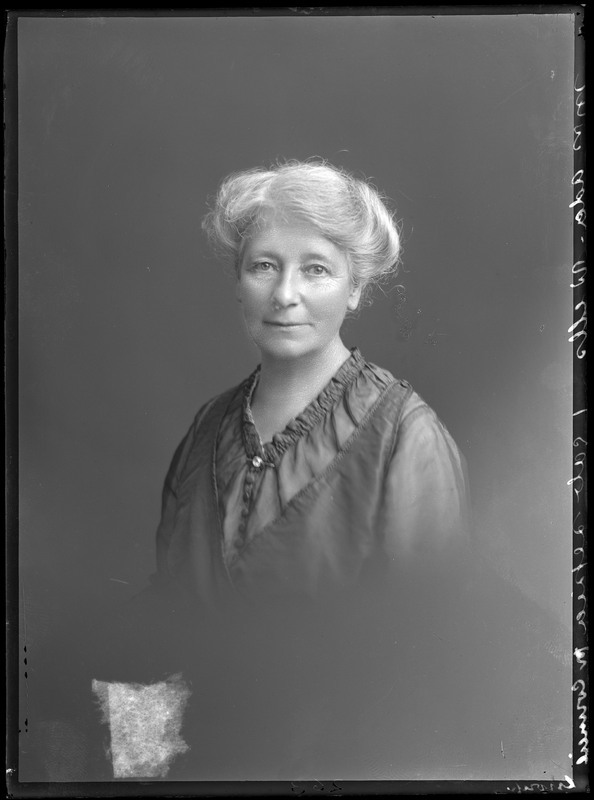 Ada Wells, ‘Our duty to the Unfit’, National Council of Women of NZ. Fourth session Auckland, 1899, pp. 17-29. National Council of Women records. (MB126, Ref 84691). Macmillan Brown Library, Christchurch, New Zealand. Margaret Lovell-Smith, 'Canterbury Women's Institute', in Women Together ed. Anne Else, (Wellington: Daphne Brasell Associates and historical Branch, Department of Internal Affairs, 1993), p.76. 'Holy City', Maoriland Worker, 13 December 1916, p.2. Lyttelton Times, 10 October 1913, p.8. 'For Intellectual Freedom: Deputation to the minister' Maoriland Worker, 3 January 1917, p.3. 'Anti-Militarism: Lively Deputation: Conscientious Objectors Defended', Sun, 26 March 1919, p.2. 'German Admirers: Opposed to Militarism: Extraordinary Sentiments', Manawatu Standard, 28 March 1919, p.3. Edmund Bohan. 'Page, Sarah', from the Dictionary of New Zealand Biography.Te Ara - the Encyclopedia of New Zealand, updated 30-Oct-2012. 'Obituary: Mrs Ada Wells', Press, 23 March 1933, p.2.